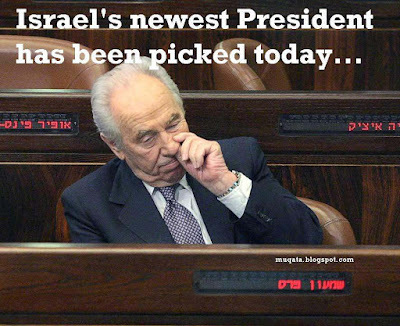 As his first act as Israel's new president, Shimon Peres should be dispatched to Gaza. If he survives the crossfire between Hamas and Fatah, he should try to broker a new Oslo agreement between the two sides. If it's as successful as the one he signed for Israel, Gaza will soon cease to exist. And, who knows .... it may get him another Nobel prize. So when I think about the kidnapped BBC reporter Alan Johnson held hostage in civil-war-torn Gaza, I ask myself: ‘Have his Arab kidnappers done anything worse than his own peers in the media, by imprisoning the truth about Hamas and the PA and their Jihadist controllers in Teheran? These reporters have sold their very souls to the devil of Islamic terror in exchange for daily access to stories in Gaza and the West bank. They have colluded in the blatant staging of Israeli atrocities and massacres, every one of which has subsequently been debunked as utter rubbish. From the al-Durrah shooting to the Gaza beach shelling to the Jenin massacre. Each morning the BBC & CNN hacks are told when and where to turn up, to film their fiction and be back in time for tea and scones at their favourite watering hole: the American Colony Hotel in East Jerusalem. And despite the kidnapping of Alan Johnson and the beheading of Daniel Pearl, these hacks continue to betray the prime mission of their profession: to report the Pravda … the truth. 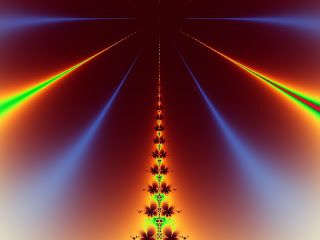 Until they pluck up the courage to tell things the way they really are, more lives will be put at risk as a world which hangs on their every word as gospel goes about its business totally oblivious of the existential threat to our freedom and way of life. Fortunately there are some lone voices out there which are slowly giving encouragement to other journalists. The bravest in the UK is Melanie Phillips whose blog may be accessed here. The wittiest is Mark Steyn, whose new book ‘America Alone’ was praised by President Bush alongside Sharansky’s ‘Case for Democracy’. I just bought Steyn’s book and wanted to share the laugh I had on noticing the plug which appears at the top of its front cover. 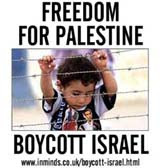 Meet the posterboys of the Arab boycott as they appear on the Boycott Israel website. But don't blame them just because they are ultra-orthodox. Think of them as furry Finkelsteins. When it comes to knocking the Jewish State, no-one does it better than the Jews. And no-one knows it better than the Arabs and the journalists in their pay. 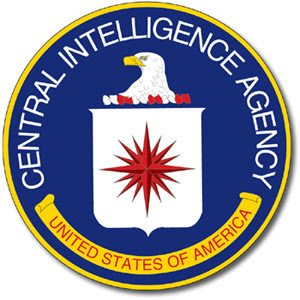 While anti-Semitic boycott activists may cry foul with charges of apartheid and oppression, look what the CIA is saying about Israel. 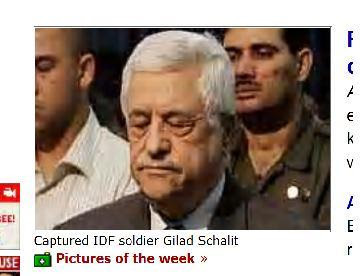 In these troubled times when Israel's weak and corrupt government is so much into retreat and appeasement, its a major boost to see this kind of image in the news. 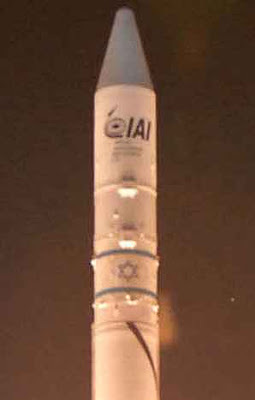 It's Israel's latest spy satellite, Ofek-7 being launched from Palmachim airbase last night. There is a poll in one of the Israeli newspapers as to whether the defense ministry should have kept this launch under wraps, so as not to give the game away to our enemies. Sometimes I wonder what planet these pollsters live on. I should have thought half the Negev would have seen this thing roaring into the sky last night, or at least heard it. And hopefully the mullahs were woken up in Teheran too. That Magen David on the launch rocket really does it for me. If only Hitler could see us now. He might whisper a few choice lessons in the ear of his Iranian disciples. And, as always on special Jewish occasions, irony quickly gives way to humour. The name of the rocket launcher ... Shavit. Mickey Finn or Nicky Fin ? 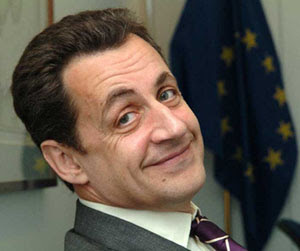 At last week's G8 summit, France's new president Nicolas Sarkozy arrived late at a press conference, apologising as he had been delayed at e meeting with Vladimir Putin. Putin is currently under investigation for poisoning one of his enemies in the UK. But what on earth did he put in Nick's drink??? I've heard of being drunk in charge of a motor vehicle. But drunk in charge of a G8 conference ? A Ben Gurion strike was narrowly averted today when air traffic controllers agreed to keep the airport open despite major safety concerns over interference with ATC signals by pirate radio transmitters. Last week an incoming flight was endangered when radio interference disrupted communication with the pilot on his final approach. A pirate radio station in Ramallah! No doubt spewing out lies and libels about the Jewish people. At a time when the Kadima crazies are tempting Syria with more territory and Labor has voted to re-elect the man who was prepared to surrender 97% of Judea/Samaria and half of Jerusalem, perhaps this should be a warning that our so-called ‘peace partners’ are already far too close for comfort. It’s clear that our leaders cannot see the threats clearly. They cannot see further than the next opinion poll or the next visit by the <?xml:namespace prefix = st1 />US secretary of state. When visibility is poor, pilots depend on ILS – an unseen electronic beacon – to guide them through the gloom on the right path to the runway. Likewise the State of Israel can only survive if its leaders stay tuned to the Jewish beacon and the guidance system of our Torah. After a long-haul passage of 2,000 years - through the worst turbulence imaginable – that divine guidance has landed our people safely in our own homeland. If our leaders continue to give up more and more territory, we will have gotten little further than the airport terminal. Successive prime ministers of Israel have always been careful to locate settlements in high places. One of those strategic heights is home to the 1,500 religious settlers of Psagot, which boasts an outstanding view of the Arab town of Ramallah. This is a picture of Ramallah you will never see on the BBC or CNN. On all sides there are modern apartment buildings and villas capped with red tiles. But right in the center of this colorful townscape - like a cancer embedded in healthy pink flesh - lies the dark gray smudge of the refugee camp. Managed and preserved by the oil sheikhs of Arabia, this ugly trophy of the Palestinian struggle is always very carefully cut, cropped and pasted into the world’s media. Any unbiased Middle East expert will tell you that the Palestinian refugee camps only exist because their despotic leaders in Teheran, Damascus and Riyadh and their terrorist proxies in Hezbullah and Hamas wish it so. After 40 years, the billions in US, EU and UN aid to the ‘Palestinian refugees’ has way exceeded the cost of the Marshall Plan set up by the Allies to reconstruct Germany after WW2. By this measure, every Palestinian family and at least two sons-in-law should have been able to afford their own 2-bedroom apartment on one of those red-topped buildings you see in the picture. Sadly however the puppeteers of the Palestinian Arabs had other plans for the money. More guns, suicide belts and missiles to perpetuate their refugee status. And more Jihadist medrassas to make sure the next generation keeps the tradition going. Not satisfied with overshooting its budget by 40 percent - an extra £900 million - the nutjobs planning London's 2012 Olympic Games have just spent £400,000 on this dumbest of all logos. This morning's headlines and radio shows are full of criticism, catcalling and condemnation for this lack of taste and total waste of money. They were looking for something that portrayed traditional London in an honest and truthful way. Charles Moore wrote an excellent piece in the Daily Telegraph entitled: ‘What if Israelis had kidnapped the BBC man?’ He speculates what an outcry there would have been instead of the restrained tolerance and search for understanding that has followed every Islamist outrage since 9-11. This sentiment is exactly what I feel every time I travel by air. 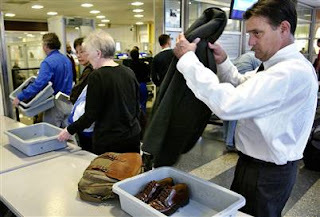 I watch how hundreds of passengers line up at the x-ray scanner, have to take their shoes off and put them back on again and surrender their aftershaves and other personal items that are on the latest banned list. Once aboard - no matter how great the in-flight movie and other distractions - they cannot fail to have the odd flashback of Pan Am 103 or have anxious feelings about any Arab-looking passengers who happen to be fiddling with their hand luggage or shuffling in and out of the toilets. If you’re a passenger on El Al, you have the added worry of being blown out of the sky on take-off or landing by the kind of Stinger missile fired on that Arkia flight out of Mombassa. But that’s a price we Jews have always had to pay. They’ve been targeting El Al planes for half a century. But let’s stick to the gentiles. The ordinary Joes, many of whom travel on business every week of the year and have to put up with these new rites of travel. Just imagine how it would be if the Jews had been responsible for the hijackings, the slaughter of flight crews with box cutters and the sacrifice of innocent holidaymakers and commuters as burnt offerings in a holy war for their religion? Would Tony Blair respond by endowing Jewish schools with massive grants to foster greater understanding of Judaism? 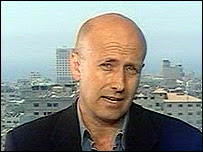 Today he announced such endowments for Islamic schools in the <?xml:namespace prefix = st1 />UK – even as the BBC’s correspondent remains in captivity in Gaza and British and American hostages await their gruesome fate at the hands of Iraqi insurgents whom the vast majority of hundreds of millions of moderate Muslims have yet to publicly condemn. Just imagine if it were the Jews that had brought all this upon the gentile world? They would have taken every last one of us out and gassed us. And yet, the slow-moving security lines are eerily silent at every major international airport. And the whole security hall then bursts into applause. This fuss about UK academic boycotts is being blown out of all proportion. It’s about the usual suspects – a small but determined group of leftists which has infiltrated universities and NGO’s like Amnesty International. Like fungi in the forest, they seem to be all over the place after a good rain shower. This group nourishes itself on opportunities like the death of Rachel Corrie, the Jenin ‘massacre’ and now the anniversary of the Six Day War. The mainstream almost always throw out these resolutions in the end. But there is something Mr Olmert could have learned from this. He might consider boycotting Mr Abbas and his Palestinian Authority on the very valid grounds that the ‘government’ he shares with Hamas is rocketing Sderot and lately causing fatalities. Instead (dare I say unbelievably?) Olmert is actually considering the transfer of another $100 million of tax revenues to Abbas. He has not had any accounting for the $100 million he paid over in January, most likely none of which ever found its way into a Palestinian hospital or school (other than underneath such places, in the form of an arms cache). Bibi Netanyahu and former chief of staff Boogie Ya’alon press for Olmert to cut off Gaza’s electricity and gas. In response Olmert writes out checks.